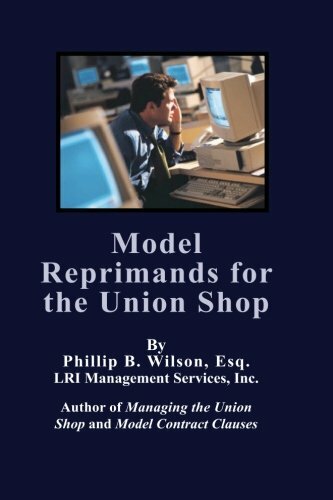 Model Reprimands for the Union Shop walks managers through the process of drafting an effective written reprimand. Effective reprimands document the performance management and disciplinary action process and often are the difference between winning and losing a grievance or lawsuit. Good reprimands clearly communicate the company's expectations, state the consequences of future deficiencies, and objectively prove the company followed its contractual obligations. Since most managers are not legal or writing experts, this guide is a critical tool for drafting effective reprimands.